A strategic thinker and leader, Ms. Jayaraman is currently responsible for UNICEF’s programmes in twenty OECD countries with a portfolio size of USD 700 million. Experienced at driving strategic agenda and building stakeholder alignment across Governments, National Boards, NGO Coalitions, UN Agencies, Private Sector Consortia, Academic and National Institutions, Ms. Jayaraman has a crucial role in facilitating the building of strategic partnerships, alliances and common approaches. 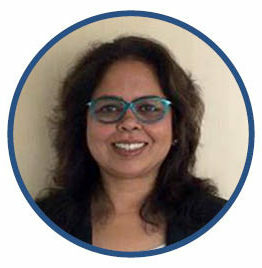 Throughout her professional carrier, Ms. Jayaraman worked is various fields including education, culture, finance and humanitarian aid with UNICEF and the British Council, while also having experience in the private sector through her involvement with companies such as Citibank.